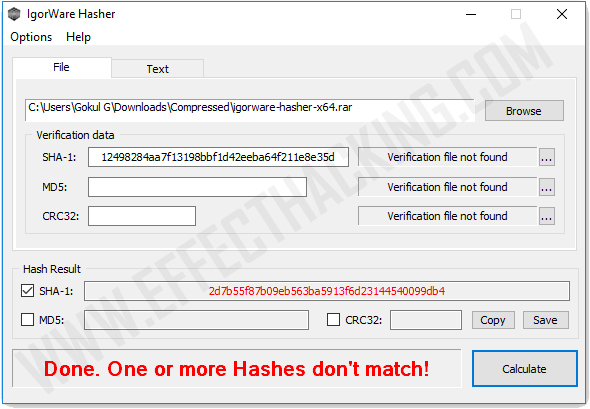 IgorWare Hasher is a simple tool that allows you to verify the integrity of the downloaded files by comparing the SHA-1, MD5, or CRC32 hashes. It is also capable of generating hashes for text. 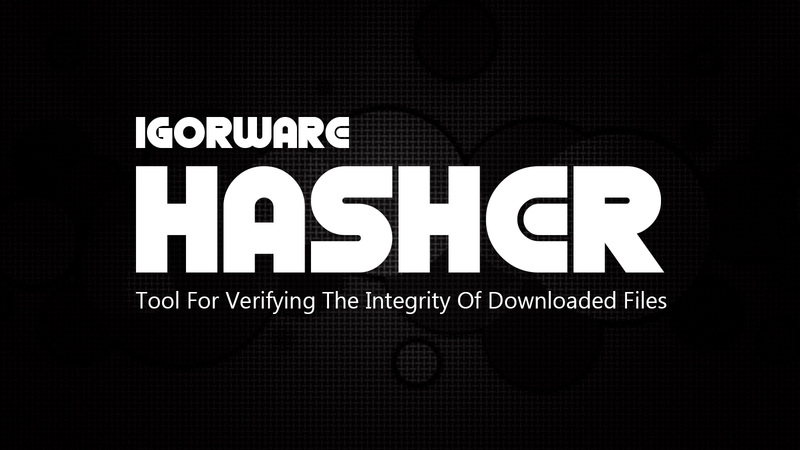 First, download IgorWare Hasher on your computer. 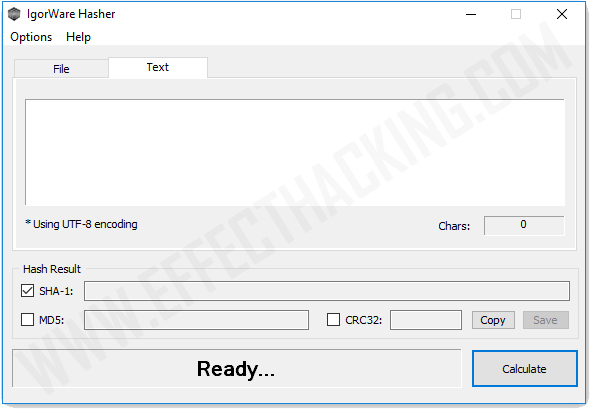 Extract the rar file and then run the hasher.exe file. As you can see in the above image, there are two tabs: "File" and "Text". If you want to verify a downloaded file, click on the "Browse" button under the file tab, and then select the file. 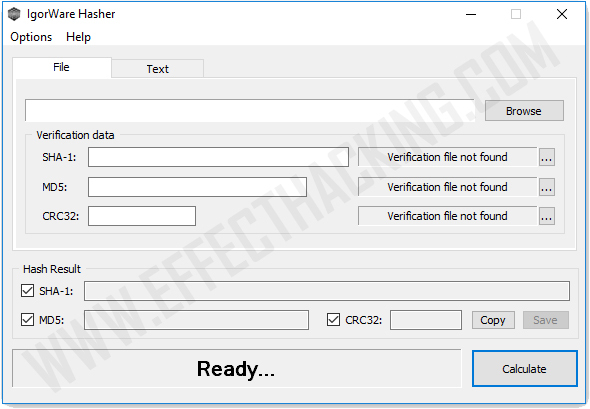 Then paste the verification data (hash) in the appropriate field(s). Then click on the "Calculate" button. 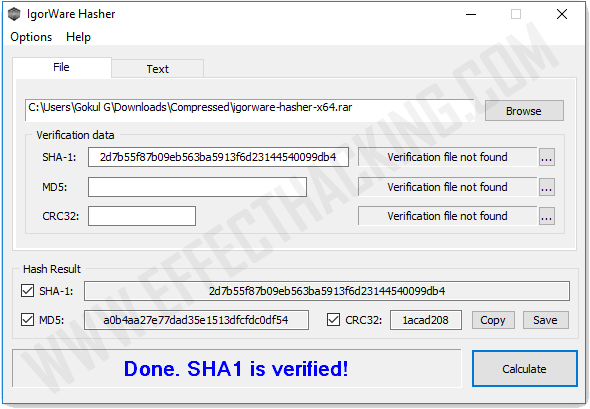 If the file is good, the program will display a message saying that the hash is verified (see the below image). Otherwise, it will show a message as shown below. You can also use verification files (*.sha, *.md5, *.sfv) instead of the hashes. If you want to generate hashes for a particular text, first select the "Text" tab. Then enter the text, and then configure the Hash Result. Then click on the "Calculate" button. The hash for the text will show up in the "Hash Result" section.